Punyam Management, trusted name for ISO Certification consultancy and ISO auditor training provider in India has successfully completed ISO/IEC 17025 accreditation assessment for Environment Laboratory of GITCO ltd as per NABL – Indian laboratory accreditation standard. The NABL auditor has visited environment laboratory of GITCO on 12th and 13th July, 2014. With the help of Punyam Management, GITCO lab has successfully achieved NABL recommendation for scope of Water and waste water analysis, ambient air analysis, flue / process gas analysis and solid waste analysis. Punyam management has done in–depth study for all such parameters of Water and waste water analysis, ambient air analysis, flue / process analysis and solid waste analysis and prepared detail system for implementation for all such parameters for accreditation. All such tests are done as per Indian Standards / APHA and other international standard. With the help of Punyam Management, the Laboratory has been recommended for ISO/IEC 17025:2005 (NABL) for all such prestigious parameters. Preparation of documents for ISO/IEC 17025 like, Quality Manual, Quality Procedures, Standard Operating Procedures, Work sheets, Test report template, etc. Conducting management review for ensuring effective implementation. Environment Laboratory of GITCO Ltd. is one of the leading and reputed laboratories in the Ahmedabad. The environment management cell of GITCO comprises of experienced Chemical Engineers / Environment Engineers / Chemists who undertake EIA studies / Environment Audits as per the requirements of GPCB and other regulation bodies. GITCO Environment cell offers following services. Designing of ETP & TSDF (Land fill site). Gujarat Tea Processors and Packers Ltd wins BRC global standard issue 6 certificate with help of Punyam Management services Pvt ltd, a leading food certification consultancy company in India. Punyam management has helped in implementation of food safety system as per BRC global standard issue 6, in Gujarat Tea Processors and Packers Ltd, a company of Wagh Bakri Group, India. The BRC food issue 6 audit has taken by auditors from leading food certifying body Intertek on 2-3 April 2013. PUNYAM and INTERTEK Team at Gujarat Tea Processor & Packers Ltd.
With the help of Punyam Management, wagh bakri group has successfully completed the certification of BRC food issue 6. Punyam is associated with this product since designing, construction and implementation of the food safety management system for manufacturing units of wagh bakri group. During this BRC certification, all the helps regarding BRC documentation, implementation training, internal auditing as well as auditor training is provided successfully to the employees of Gujarat Tea processors and packers ltd. Team of food safety consultants has given brc training to all employees to ensure adherence to standard food safety and quality policy. Also Punyam has helped to verify implemented system with the internal auditing of their work area, which will guide all the technical and management staff to achieve BRC certification in first attempt. The BRC global standard for food issue 6 audits has taken by Intertek on 2nd and 3rd April 2013. After successfully compete the BRC audit, Gujarat Tea Processor and Packers ltd, unit of Wagh bakri group has achieved BRC global standard issue-6 certificate. Punyam management has associated with the organization since last 10 years and successfully completed certification for ISO 9001, HACCP and ISO 22000 at both manufacturing units. Gujarat Tea Processors and Packers Ltd (Wagh Bakri Group) is the most trusted name for tea in Gujarat as well as India. It has largest tea producing plants in Ahmedabad city and having presence in tea business since 1892.. The organization has sophisticated infrastructure meeting the highest level requirements related to food safety, legality and Quality. The company has fully automated storage and reclaiming system, which is at par with the latest ISO 22000 standards in the Food Industry, ensures safe keeping and retention of quality. Punyam Management Services Pvt Ltd is a leading ISO certification consultancy in Ahmedabad, Gujarat, India. Punyam is serving ISO services and management consultancy since 1995. Punyam Management offers certification services for ISO SO 9001, ISO 14001, OHSAS 18001, ISO 17020, ISO/IEC 17025, ISO 22000, ISO 27001, ISO 50001, BRC food, BRC IoP standards. Punyam has many small and big size organizations as satisfied clients in Ahmedabad, Gandhinagar, Vadodara, Suarat, Ankleshwar, Vapi, Gandhidham, Mehsana, Kalol etc in Gujarat as well as Mumbai, Pune, Goa, Aurangabad and more cities of Maharashtra, Rajasthan and Madhya Pradesh. Punyam Management Services Pvt. 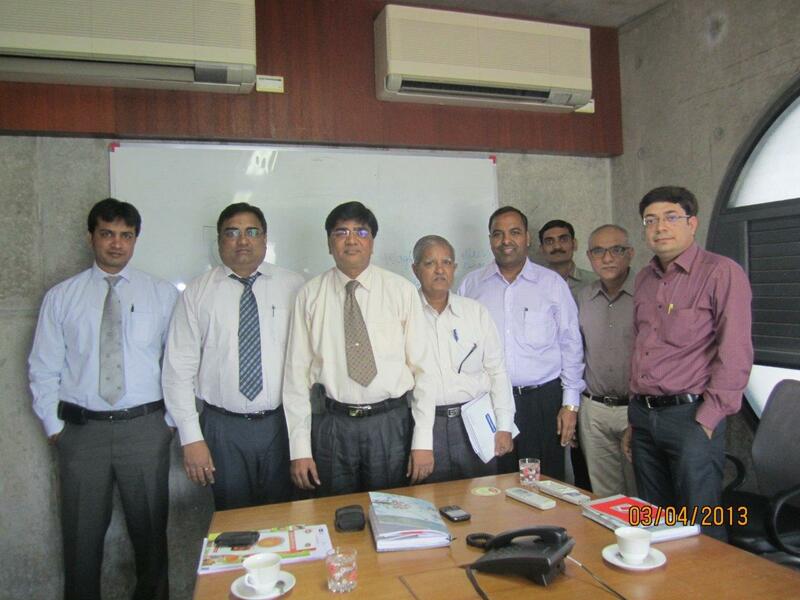 Ltd. has successfully completed ISO 9001:2008 recertification consultancy at Buradon Inc. on 6th Dec. 2012 at Vadodara. Punyam has achieved this certification for quality management system in less than 2 months. After survey of the entire organization Punyam created work instructions and work plans for each departments of the organization and helped them to ensure implementation of best quality management system. In this project team of iso consultants from Punyam management has prepared the ISO 9001 documentation required for ISO 9001:2008 re-certifications which includes 9001 manual, list of qms procedures, iso 9001 certification templates, work instructions as well as iso 9001 audit checklist. Punyam management provided ISO training that helped all staff of the organization to understand benefits of quality management system and its requirements to achieve continuous improvements. The lSO auditor training also provided, which helped them to successfully clear the ISO 9001 certification audit taken by ISOQAR, UK based certifying body. After successfully auditing ISO QAR has recommended Buradon Inc. for ISO 9001 certification for more 3 years. As per Mr. Devang Jhaveri, director of Punyam Management Services – “Punyam is associated with the organization since last 12 years and we appreciated support of all the employees of Buradon while implementing Quality Management System”. Punyam has provided all the required support in routine maintenance of quality management system and system up gradation related to QMS. Buradon is one of the leading manufacture and exporter of fine chemicals to the rigid standard of GR , AR, EL, ACS, and LR grades due to its industrial exposure, commitment and market fixing capabilities from India . With the aim of serve Quality products to the clients as well as Being a quality conscious company, Buradon ensures that quality is maintained at every level of the organization. Punyam Management Services, leading iso certification consultancy in India, has helped Vishal Engineers & Galvanizers to successfully complete ISO 9001 re-certification from leading certifying body ISOQAR for their Changodar unit at Ahmedabad. Punyam Management is associated with the organization since last seven years. And all the required support in routine maintenance of system up gradation related to quality management system is provided. Punyam management helps Vishal Engineers to implements quality management system as per ISO 9001:2008 standard. The iso consultant has prepared ISO 9001:2008 documentation including quality manual which satisfies all the requirements of iso 9001 system, qms procedures to follow while implementing quality management system, sample templates and forms as well as ISO 9001 audit checklists to confirm all the requirements of ISO 9001:2008 standard. Punyam also has provided instruments calibration services in their NABL accredited calibration laboratory in India. Team of ISO consultant has provided System awareness training as well as ISO 9001 auditor training to all technical and administration staff for recertification of the iso 9001:2008. Vishal Engineers & Galvanizers Pvt. Ltd. is a leading company in manufacturing of Power Transmission line Towers, Telecom Towers, Wind Mill Towers, Solar Panel Mounting Structures, Sub Station Structures, Heavy Fabrication & Galva Rabars etc. The organization is spread across 45000 sq. yards with state of art galvanizing plants and fabrication shops well equipped with latest technology. They work with well known company like PGCIL, GETCO, MSETCL, RVPNL and BSNL and many other companies. Punyam Management Services PVT. LTD. is leading ISO consultancy company in India established since 1995, provides services for ISO certification, ISO documentation as well ISO training for ISO 9001, ISO 14001, OHSAS 18001, ISO 27001, ISO 22000, ISO 50001, BRC and Management training like six sigma, RC 14001, FAMI QS, TPM, sedex certification, FSSC 22000, NABH accreditation, NABL accreditation etc. Punyam has worked with many leading companies like Reliance, TATA, Kanhai Food, GECL, Meghmani, Magnum Industries, Mazda, Temptek, Polydrug, Shalby Hospitals, Kalpataru Power, Sunrise, C-Metric, Jhaveri Flexo, Aerolam insulations, Ramans Environments and help them to achieved ISO certification under ISO services. Read more news about ISO 22000 by Punyam Management. Punyam Management has successfully completed ISO 9001:2008 Re-certification for Sachin Industries ltd. from TUV South Asia. Punyam Management Services has implemented best quality management system within the organization in given time. Punyam has also helped them in preparing quality documentation related to ISO 9001:2008 standard, providing training to all staff of the Sachin Industries for system awareness as well as internal auditing for ISO 9001:2008. For quality management system certification Sachin Industries has need to calibrate all the instruments as per NABL guidelines, Punyam has provided calibration services in their associated NABL calibration laboratory, NCQC. The team of experience quality and ISO consultant in India has developed the quality management system in the organization in less than 1 month as per requirement of the organization. The team of external ISO auditor from TUV South Asia, leading ISO certifying body, has visited the organization on 24th November 2012, and after successfully completed re-certification audit they have recommended Sachin Industries Ltd for ISO 9001:2008 certificate. Sachin industries Ltd, based at GIDC Vatva, Ahmedabad, is one of the leading companies involved in manufacture and supply of all types of filter press, Filter Plates and Allied equipments. Sachin Industries is having team of experienced Chemical engineers, Chemist and Plastic technologists & Mechanical Engineers. They are offering innovative products with large number of satisfied clients in India. With this ISO 9001:2008 certification, the organization aim to comply all requirements and continually improving the effectiveness of Quality Management System. Punyam management is Ahmedabad based ISO Certification Consultancy Company offering their services since 1991 in all major cities of India with wide area of ISO standards as well as products certification. As the company raised with time Punyam is being leading name for ISO 9001, ISO 50001, ISO 27001, ISO 14001, ISO/TS 16949, OHSAS 18001, ISO/IEC 17025, ISO 22000, HACCP, BRC and CE Mark. Now with the expertise in the field quality management system, food safety system, IT security systems, laboratory management system, environment management system and energy management system; Punyam has expanded the consultancy services with RC 14001, FSSC 22000, Sedex certification, NABH accreditation for hospitals, NABL accreditation for testing and calibration laboratories, CMMI for IT companies as well as management training for Kanban, Six sigma, 5S lean, KRA, TPM, Kaizen, etc.